Meet i. paul rappaport, m.d. Dr. 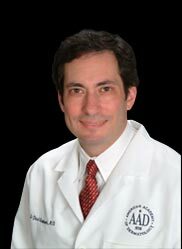 I. Paul Rappaport is a Mayo Clinic trained, Board Certified Dermatologist, with expertise in both medical and cosmetic dermatologist with expertise in both medical and cosmetic dermatology. He is a member of the American Academy of Dermatology and the American Society for Dermatologic Surgery. Dr. I. Paul Rappaport has been interviewed and featured on television, radio, newspapers and national dermatology publications. Dr. I. Paul Rappaport has been serving the Saratoga Springs, Albany and general New York community for over 30 years. Whether you have general or cosmetic dermatology needs, rest assured that not only is Dr. I. Paul Rappaport an expert, but he has unique solutions that are on the cutting edge of his profession. His extensive knowledge and experience in medical, surgical and cosmetic makes him the ideal choice for providing comprehensive skin care for patients of all ages. Whatever your skin concerns, Dr. I. Paul Rappaport can assist you to regain and retain healthy skin. Dr. I. Paul Rappaport has a reputation for being the best, a rank that has consistently been reinforced by his long-standing patients, awards and achievements.